A U.S. senator I once worked for was fond of saying that you can't manage what you can't measure. This old management adage holds true across a variety of disciplines, and is something that members of Congress should keep in mind as they debate what a secure border looks like and what kind of security measures are needed along the U.S. border with Mexico this fall. Despite investing billions of dollars since 9/11, it is still a struggle to measure how effective U.S. border security operations are. The Department of Homeland Security has decades of statistics concerning apprehensions made by Border Patrol agents, which have reached modern lows in recent years. However, apprehensions are output measures—what they actually measure are the activity of the Border Patrol. They tell us very little about how the Border Patrol is actually performing. In fact, over the years DHS officials have sometimes pointed to both increases and decreases in apprehensions as evidence that the Border Patrol is being more effective. In order to actually understand how effective Border Patrol operations are, however, you need to know the number of people that attempted to cross the border illegally. Comparing the number of people who cross the border with apprehensions would let us know what the Border Patrol's batting average is, or how many people who cross the border illegally actually evade apprehension and make it into the country successfully. The truth is that there is a limited understanding of how many people attempt to cross the border illegally each year. A recent DHS report (PDF) acknowledged this fact, pointing to substantial discrepancies between internal Border Patrol estimates of border crossings—which are based largely on the physical observations of agents—and a report commissioned by DHS that used statistical techniques based on survey responses and apprehensions data to estimate the overall flow of people across the border. While both methods appear to show that the Border Patrol has become more effective in identifying and apprehending illegal border crossers over time, the DHS report notes that they are still looking for ways to help better understand what the overall flow across the southwest border is. This is key, because without better estimates for the total number of crossings, it is impossible to measure how successful U.S. border controls are. Without better estimates for the total number of crossings, it's impossible to measure how successful U.S. border controls are. Unfortunately, there are very real reasons why understanding the denominator is challenging. The U.S. border with Mexico is almost 2,000 miles long, and features daunting geographical terrain including remote mountains, deserts and densely vegetated riverine areas. 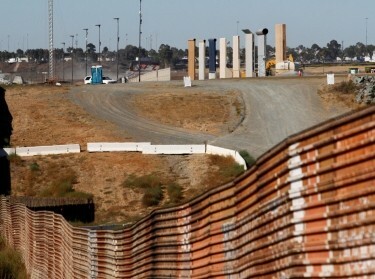 The U.S. deploys a wide array of technology to the land border, including fixed towers with ground radar and infrared cameras, mobile systems with similar capabilities, and underground sensors, to name a few. However, each of these systems has its flaws, and there are not nearly enough of them deployed to provide comprehensive surveillance over the entire border. Likewise, there are more Border Patrol agents deployed along the southwest border than ever before—roughly 18,000—despite some very real challenges with hiring enough agents to keep up with attrition. 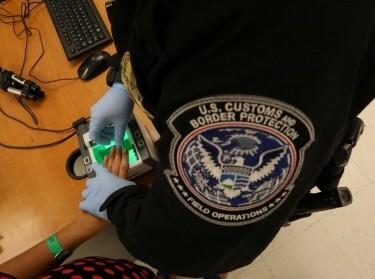 But factoring in the length of the border, the need to run three or four shifts a day in order to maintain a 24-hour operation, and the fact that some remote areas of the border can be hours away from the nearest town, it is impossible to have agents deployed to all parts of the border at all times. For these reasons, there are areas of the border where authorities lack real-time understanding of how many people enter the U.S. illegally or, to use a DHS term, where domain awareness is very limited. The good news is that DHS is actively exploring ways to improve domain awareness along the border. RAND's research suggests that DHS can potentially use technology currently deployed along the southwest border to generate a statistically significant sample of the overall flow across the U.S. border with Mexico based on actual observations of people crossing illegally. Given current resources and staffing, there may be operational tradeoffs that DHS would have to make in order to achieve this goal. The value that this strategic understanding of cross-border flows would provide DHS, however, could make that trade worthwhile. 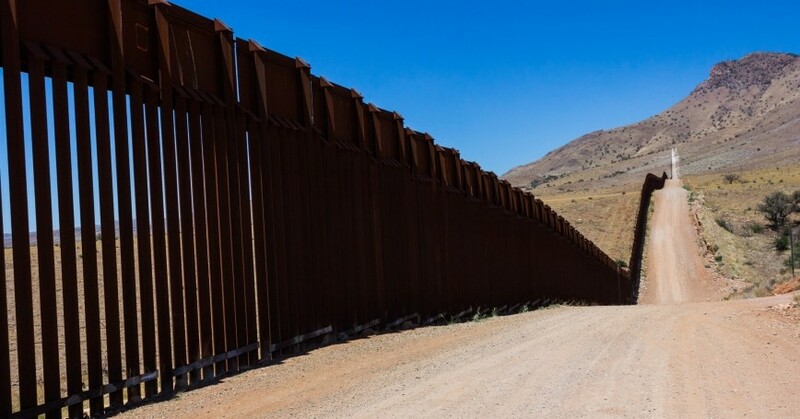 Without being able to measure U.S. success at identifying and apprehending individuals attempting to cross the border illegally, policymakers and members of Congress may never be able to adequately manage America's border security programs. This is perhaps one of the reasons why, despite the billions that have been spent on securing the border since 9/11, the U.S. still struggles to define what a secure border looks like. Blas Nuñez-Neto is a senior policy researcher at the nonprofit, nonpartisan RAND Corporation. Prior to joining RAND, he served as a senior adviser to the commissioner of U.S. Customs and Border Protection. This commentary originally appeared on U.S. News & World Report on December 5, 2017. Commentary gives RAND researchers a platform to convey insights based on their professional expertise and often on their peer-reviewed research and analysis. Andrew R. Morral @AndrewMorral, Henry H. Willis @HenryHWillis, et al.